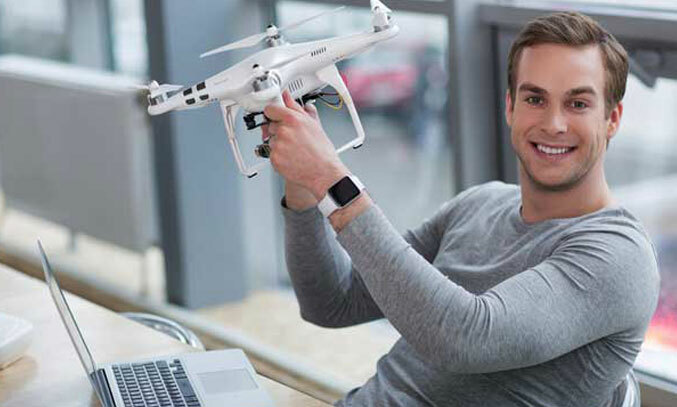 In case of resource or time crunch, Back Office Pro (BOP) offers to act as the back office for providing professional drone image editing services. As a reputed outsourcing company based in India, BOP offers to hire its highly experienced image editing professionals to work on any drone image enhancement projects at a competitive price. With years of image editing experience, BOP is familiar with the challenges involved in editing drone images, including uneven lighting, perspective distortion, flight motion, and unwanted details, etc. The skilled team of professional image editors at BOP predominantly works with image editing agencies, photographers, and photo studios across the globe to help them deliver high-quality final images within quick delivery timelines. Vast working experience with various industries including event planners, tourism officials, real estate agents, construction companies, the film industry, and others. Expertise in photo retouching, wide-angle perspective correction, color correction, image stitching, removing objects, saturation and hue adjustments, virtual tour creation, and aerial 360 panoramic images. Experienced in using Adobe Photoshop CC, PTGui Pro, Adobe Illustrator, and Lightroom. Well versed with all major variations of aerial photography catered for including color, monochrome, thermal infrared, color infrared, spectra-zonal, and panchromatic photography. Experienced in the processing of images produced by almost all lens systems including strip lens, single lens, three-lens, four-lens, and nine-lens photography. Ability to remove unwanted objects, such as antennas, vents, satellite dishes, transmission lines, and billboards from aerial photographs. Skilled to understand the purpose and add additional graphics or annotations to be used either offline or online. Drone Image Perspective CorrectionWide-angle photography is often compromised by distortions of perspective. Back Office Pro’s elite team is experienced in solving this challenge using perspective warp tools and lens corrections. 360-Degree Panorama ImagesOur team is capable of combining up to 100 drone images into 360-degree “equirectangular” images into a variety of formats using the elite software. 360-Degree Virtual Tours Back Office Pro’s team has many years of experience in the development of websites and apps, enabling us to offer the creation of immersive virtual tours. Sky Replacement and Color Our team offers high-end sky replacement services including changing colors, brightness, exposure, removing unwanted objects, and image brightening. HDR Image Blending Back Office Pro’s team is proficient in altering contrasts, color, and brightness by making use of HDR enhancements and mask blending. Day Image to Night Image ConversionOur elite team of photo editors can make use of Photoshop to turn daylight photo scenes into night time. Additional Image EnhancementsBack Office Pro also performs a number of other services including removing unwanted objects, correcting the white-balance, hue, and saturation, as well as editing of shadows. Business Optimization Back Office Pro supports business optimization processes for photography professionals, photo studios, and image editing agencies. This enables our clients in more effective action planning. Extensive Team Our elite team is made up of experienced resources with a wealth of knowledge in drone image editing. Cutting-Edge TechnologyWe utilize the most advanced and genuine copies of the software to ensure the best possible end-result. Broad Experience Portfolio Our team has experience in a variety of industries including event drone photography, the real estate industry, and virtual tours for tourism purposes. Extensive Technology ExpertisePartnering with Back Office Pro ensures that your company has access to the latest technology available in the industry, with the skilled task force to utilize it to its full potential. Dynamic FlexibilityBack Office Pro’s teams are scalable, with pricing transparency and the ability to match the client’s requirements to the size of the workforce. Adherence to data security We adhere to strict security protocols to ensure that your files and data are secure at every step of the process. If you need a reliable outsourcing partner for your drone image editing needs, complete the contact form on our website, and one of BOP’s business development managers will get in touch with you within one business day to take the project further.